The Quapaw, known as the "downstream people", are a federally recongized Native American people located in Quapaw, which is in the northeast corner of Oklahoma and just southwest of Joplin, Missouri. Historically, they migrated to the west side of the Mississippi River and resettled in what is now the state of Arkansas; this migration is the source of the tribe's name in their language which references their name (downstream people) and going down the river. The majority of Quapaw only speak English and not coversant in Quapaw. However, elders are seeking to pass down the language and the language is being taught in language classes at their Tribal Museum. Quapaw adhere to either Roman Catholicism, traditional tribal religion, or Big Moon and Little Moon Native American Church. For more information, see the Quapaw Tribe of Oklahoma website. Pray for Quapaw believers to boldly proclaim the gospel to their people. 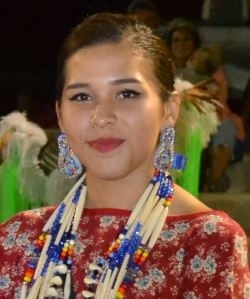 Pray that the barriers of traditional Quapaw religion would be broken down. Pray for more workers for the harvest, both for the Quapaw in the United States, as well as other unreached Native American peoples.